The most comfortable way to explore all the wonderful sights and monuments that Amsterdam has to offer! 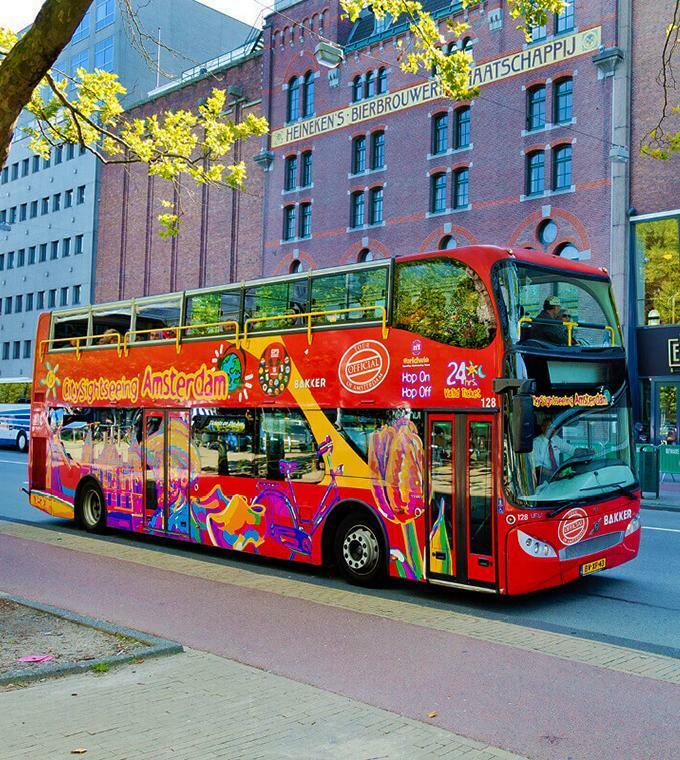 Hop on this double-decker bus and enjoy the great panoramic views while following the carefully designed route passing all the Amsterdam highlights. Get off and on whenever and wherever you want and admire the beautiful canals, elegant canal houses, towers and bridges. You will also get to see interesting sites such as the Dam Square, the Royal Palace, the Western Church, the Skinny Bridge, Amsterdam’s tallest windmill, and all the major museums and attractions. Hop on and off as many times as you want at 12 different locations. Explore the city or get to a destination quicker. Definitely worth the time and money! A GPS Guide is available in 18 languages! Please see the route of the bus here!